We often refer to our favorite athletes as “heroes.” The incredible performances, the inspiring leadership, the last-second clutch plays. But deep down, we know the word hero should be reserved for those who respond to a higher calling. Meet 5 athletes who excelled in the game they played, but paused their careers to to serve in America’s armed forces and help defend our way of life. After 9/11, Pat Tillman felt a calling. A standout safety for the Arizona Cardinals, Tillman finished the 2001 season after the attack on America. But that offseason, Tillman turned down a $3.6 million contract to enlist in the U.S. Army. Along with his brother Kevin, who had given up his chance to play pro baseball with the Cleveland Indians, Pat completed basic training and deployed to Iraq. Tillman then redeployed to Afghanistan, where he gave his life, dying in action in 2004. After a controversy surrounding the circumstances, it was determined that Tillman was killed as a result of friendly fire by U.S. forces. Tillman made the ultimate sacrifice, and he is a true hero not for his actions on the the football field, but his patriotic dedication to the country he loved. 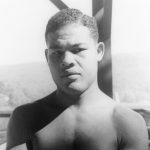 One of the greatest boxers ever, Joe Louis was world heavyweight champion from 1937 to 1949. He is also one of America’s greatest 20th century cultural icons, and arguably our first African American national hero, paving the way for Jackie Robinson, Muhammad Ali and many more. His declaration during World War II that “We’ll win, ’cause we’re on God’s side,” elevated his popularity, and he became one of the first examples of white Americans viewing a black man as a proud representative of our nation. In 1936, he faced German boxer Max Schmeling, who was seen as an aging and weak fighter compared to the powerful Louis. Because of this, Louis spent the prelude to the fight playing golf instead of focusing fully on training. As a result, Louis lost to Schmelling in 12 rounds. Americans were devastated. In the midst of the Great Depression, many looked to sports for consolation, and an avatar of Nazi Germany defeating a great American champion was a crushing blow. On June 22, 1938, before a crowd of more than 70,000 at Yankee Stadium, Louis came out swinging. He overwhelmed Schmeling with a a fury of blows. The fight was never in question – Louis knocked Schmeling down three times, and was declared the winner by technical knockout after only 2 minutes and 4 seconds. The fight was a rallying point for Americans, a vindication of our strength against the Nazis, and ensured that Louis would be a legendary figure from that point forward. Several years later, in 1942, Louis fought a charity bout for the Navy Relief Society. The day after, he decided to enlist in the U.S. Army. Louis was a passionate horseman, and was assigned to a segregated cavalry unit. He also helped fight for the rights of other black soldiers, including Jackie Robinson. Because of Louis’ immense popularity, the Army believed he would benefit his fellow soldiers as a booster of morale. Subsequently, Louis took part in 96 celebrity boxing matches and wowed crowds of more than 2 million troops. Louis was a strong and defiant voice against the tide of fascism during the war, once saying, ”Lots of things wrong with America, but Hitler ain’t going to fix them.” Despite his beloved status, he experienced racist incidents, including one in which he was nearly forced to move to the back of an Army bus. Ultimately, Louis was awarded the Legion of Merit, for “incalculable contribution to the general morale,” cementing his status as an American icon and proud patriot. But before his athletic career could take off, Robinson was drafted into the Army after the attack on Pearl Harbor in 1941. Robinson served in a segregated unit, and when he applied for Officer Candidate School, he was initially rejected before being admitted after protests by Joe Louis. In 1944, Robinson was aboard an Army bus when the driver demanded that he move to the back. When Robinson refused, the driver had him taken into custody. Robinson was court-marshaled, and as a result was unable to join his unit on their deployment to combat action in World War II. 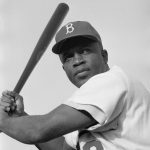 When Robinson returned to baseball, he broke its color barrier and became one of the most visible icons in American history. The lesser-known story of his military service shows that Robinson’s perseverance in the face of injustice was not limited to his historic career in baseball. Ted Williams got his wish. In 1941, Williams became the last player in the history of baseball to hit .400 in a season, posting a .406 average. In 1942, he won the Triple Crown, leading the league in batting average, home runs, and RBI. But then in 1943, at the peak of his powers, Williams left baseball to enlist in the armed forces. He became a naval aviator, and quickly emerged as a talented pilot, mastering techniques much faster than the average cadet thanks to his natural reflexes, coordination, and reaction time. 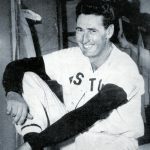 Though he didn’t fight abroad during World War II, Williams was recalled to active duty and left baseball once again in 1952 during the Korean War. There he saw combat action, flying 39 missions and earning the Air Medal with two Gold Stars. At 6’9” Alejandro Villanueva towers over his competition on the football field, but it’s his patriotic sense of duty that truly defines him. After playing three positions at West Point (left tackle, defensive lineman and wide receiver), Villanueva was not selected in the 2010 NFL Draft, and began his military service. 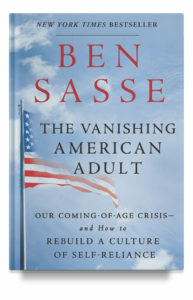 He became a U.S. Army Ranger, and deployed to Afghanistan during Operation Enduring Freedom. He quickly proved his courage, earning the Bronze Star for coming to the rescue of wounded soldiers while taking fire from the enemy. After a total of three deployments, AV took another chance at the playing in the NFL, and this time he succeeded. 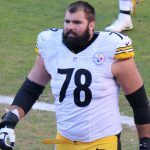 He was signed by the Pittsburgh Steelers in 2014, and continued to work hard until the 2016, when he broke through and became one of the top offensive lineman in the NFL. As a current player, AV’s hard work, perseverance, dedication to craft, patriotism, and courage under fire are a powerful example to all who watch him play on Sundays. These athletes turned veterans remind us that true courage is not about what you do on the field, but the higher purpose you fight for to make the world a better, safer place.